martin joly No image on Facebook with Jetpack2018-11-07T23:55:23+08:00 Topic Tags: facebook, jetpack, Kobeto, and no image. Kobeto is a clean minimal Responsive WordPress theme by MagPress.com. 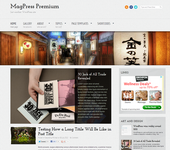 This WP theme supports CSS3/HTML5, theme options, featured slider, featured categories, Adsense ready, etc. This topic contains 9 replies, has 2 voices, and was last updated by Ronald 5 months, 2 weeks ago. I bought your Kobeto theme but when I share an article with Jetpack, there is no picture on Facebook. I think it's something that I have to change in your theme. Could you tell me what to do.